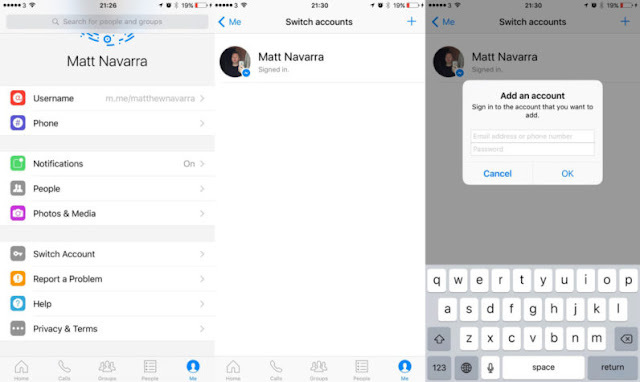 Account switching for iOS device is finally rolling out. With this feature, Android is already available published last February. The update allows you to add multiple accounts for switching. This update is useful to all small business owners, social media managers, individual persons and or family members who share in a single device. Facebook messenger is also updating the entire Facebook app family like FB, Messenger, Instagram that capable of switching multiple accounts continuously without signing in and out. You can see the options under Profile -> Switch Account -> then you see the plus sign add new account.